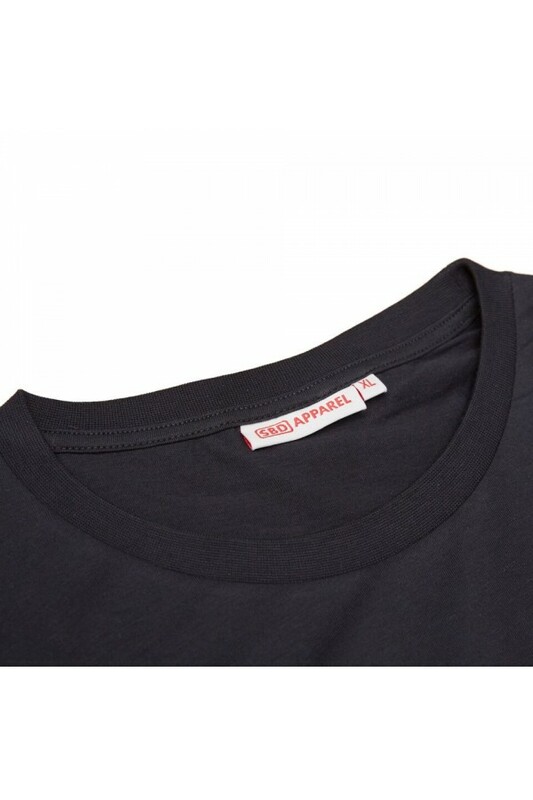 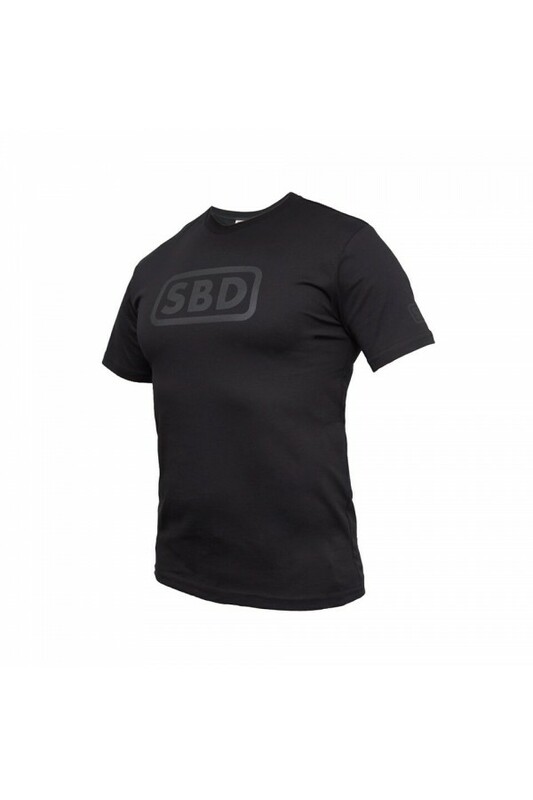 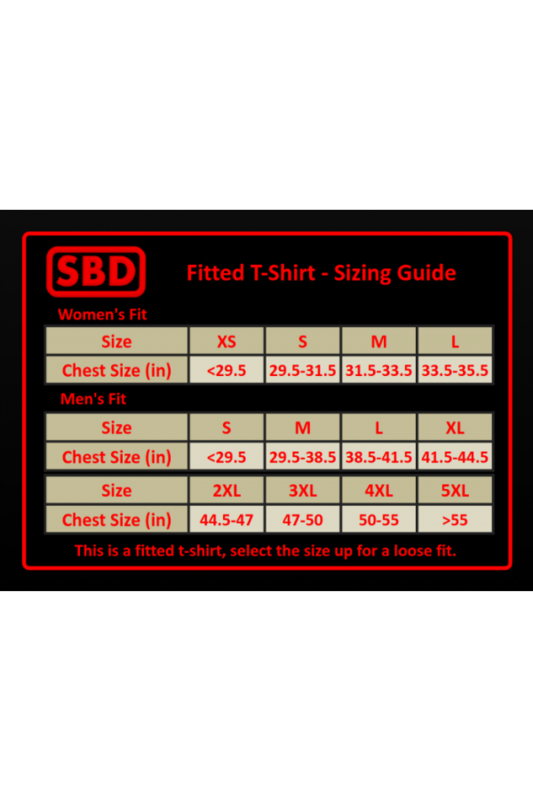 The classic design of the official SBD Apparel fitted t-shirt. 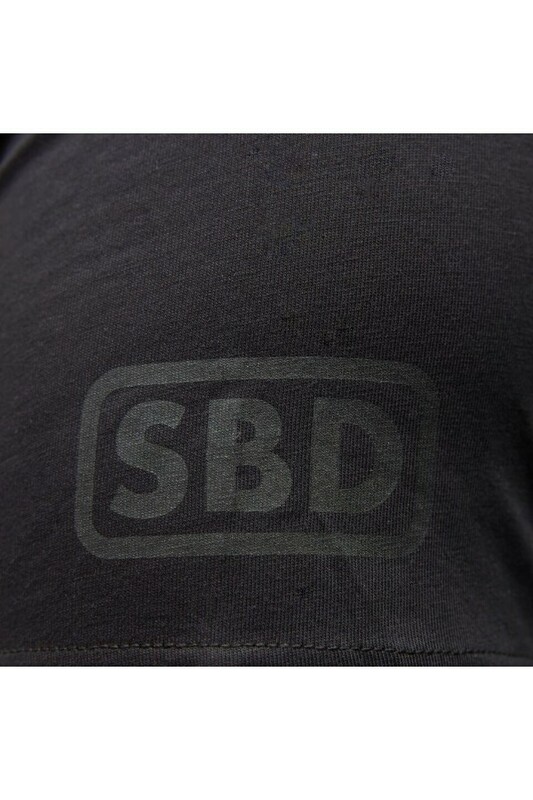 Featuring an SBD Apparel logo on the chest, and an SBD logo on each sleeve. 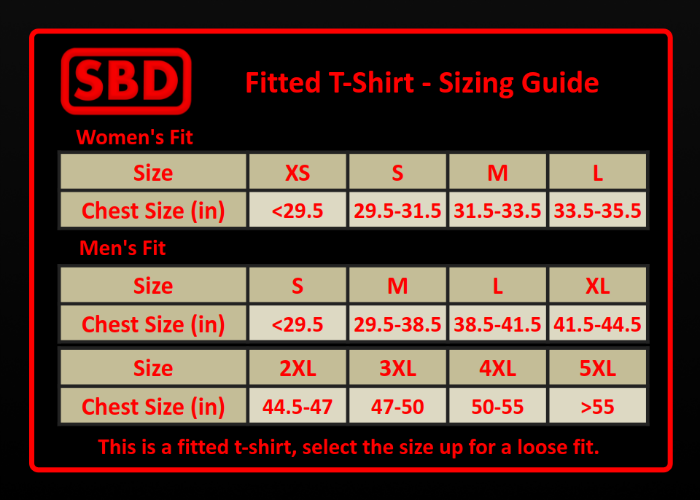 Available in Women's and Men’s fits.